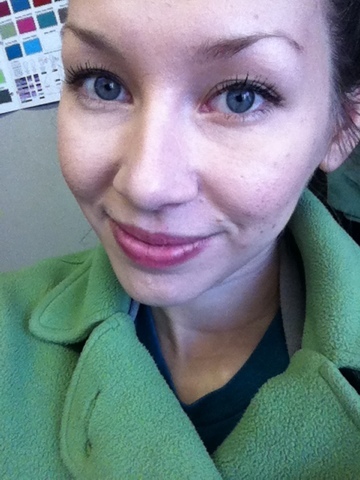 As I have stated in a previous post about the maybelline concealer, I was never really a fan of liquid makeup. Which now that I think about it, it’s weird because I’ve never even tried any. I just knew I didn’t like my face feeling smothered with makeup and I felt like that’s what liquid foundation would do. So I decided to give liquid foundation a try after watching a few reviews. Since I didn’t really like the thought of liquid foundation, I figured it would be best to start with a light coverage one. 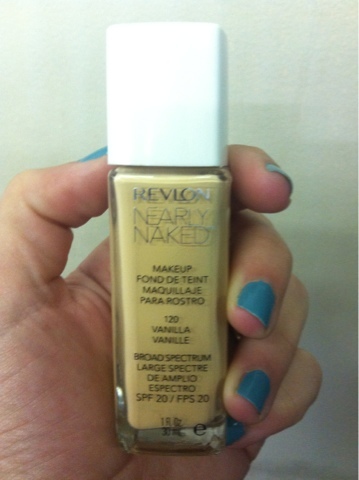 I ended up going with the Revlon Nearly Naked foundation. I have been using it for a few weeks and I think it’s safe to say that I do not mind the liquid foundation, at least this one so far. What I like about this foundation is that it feels like I don’t really have anything on. It just feels like a moisturizer does on my skin. It blended very well with my skin. I do have oily skin so I had to blot it every now and then but I never saw any blotchy sections, which is what I was mainly afraid of. A few other things I really liked about this foundation was that it had SPF in it, and the fact that it is a light coverage. So don’t expect this to cover up certain blemishes, although it didn’t do too bad with the acne spots I do have. I think after trying this, I will definitely be trying out more liquid foundations! Hopefully it will work well for you too then! I’m new to liquid foundation but am loving it! Enjoyed your blog also!